Who Is Victoria’s Secret Model Jasmine Tooks on ‘Life in Pieces’? Who Is Victoria’s Secret Model Jasmine Tookes on ‘Life in Pieces’? In the Life in Pieces episode ‘Boxing Opinion Spider Beard’, while Joan (Dianne Wiest) scares her son Matt (Thomas Sadoski) by hiding spiders around him, her husband John (James Brolin) goes behind their daughter Heather’s (Betsy Brandt) back. 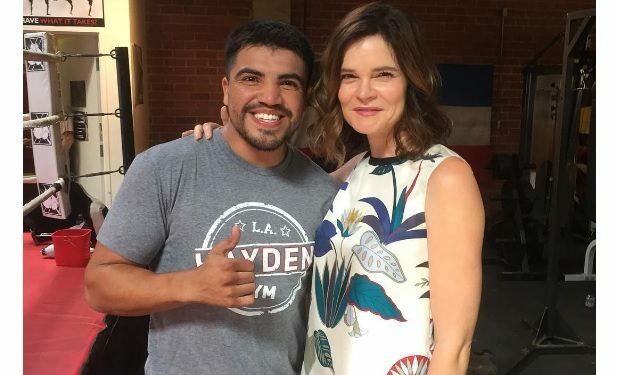 John takes Samantha (Holly J. Barrett) to the gym to meet boxing trainer Troy (real life boxing champ Victor Ortiz). At the gym, they also meet real life Victoria’s Secret model Jasmine Tookes. Before becoming a Victoria’s Secret model in 2015, Tookes worked the 2011 catwalk for Lincoln Center Presents: An Evening with Ralph Lauren. That’s where she met Oprah Winfrey who fawned over Tookes’ skin and told Tookes: “Your skin is so soft! It’s like butter. Rub your face against mine.” The 25-year-old Tookes is represented by IMG International. Life in Pieces airs Thursdays at 9:30pm on CBS. Just wrapped filming @lifeinpiecescbs with @itsvortiz. Be sure to check it out this fall? @cbstv @victoriassecret Thank you for a great day! Happy birthday to this real life fairy princess ? @hoskelsa ? ?